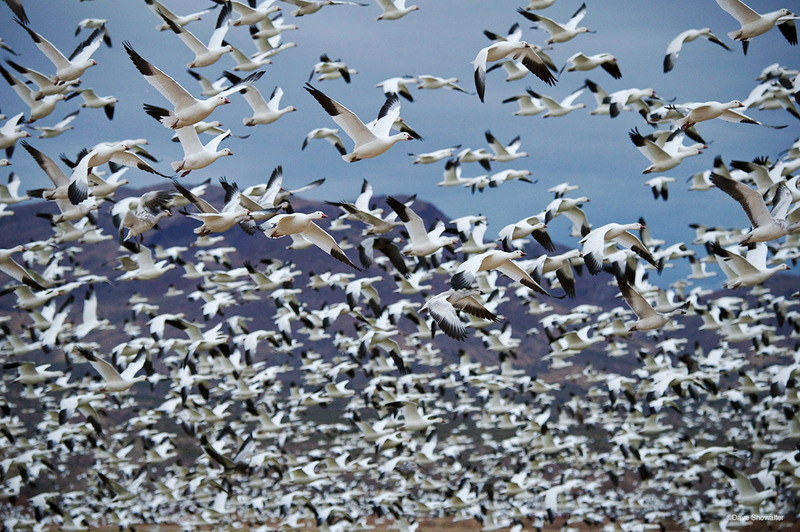 Bosque Del Apache NWR is often about volume, both in number and the deafening sound of birds. Here, a few thousand snow geese explode from a corn field before settling down moments later. In times like these it's good to be wearing a hat.